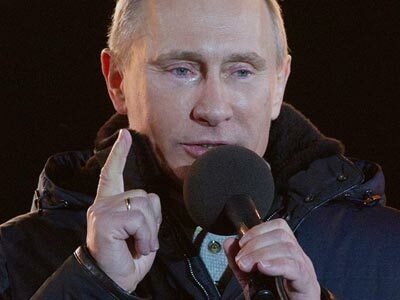 Moscow police acted extremely professionally during the post-election rallies, states Dmitry Peskov, press-secretary for PM Vladimir Putin who scored a landslide win in Russia's presidential poll. Peskov pointed out that Monday's opposition action consisted of two parts – a legal gathering sanctioned by Moscow authorities, and an illegal event. In both cases police displayed “legitimacy and efficiency in terms of ensuring compliance with the law,” he told journalists. 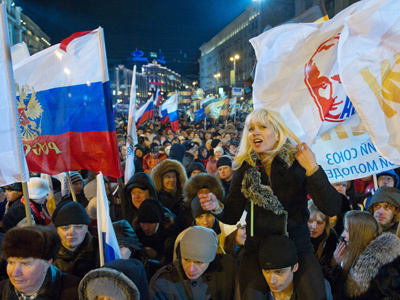 A series of protests were staged in several Russian cities on March 5, a day after the presidential vote. 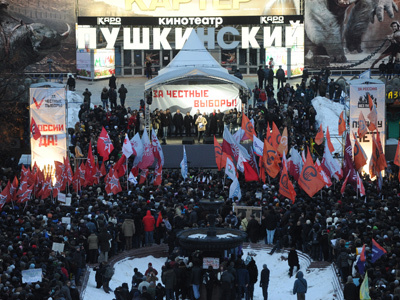 Up to 15,000 people gathered in Moscow's Pushkinskaya Square for a meeting For Fair Elections which was earlier agreed with the city authorities. After the event was over, some people refused to leave the site and were dispersed by police. About 250 activists, including several opposition leaders, were detained and later released. 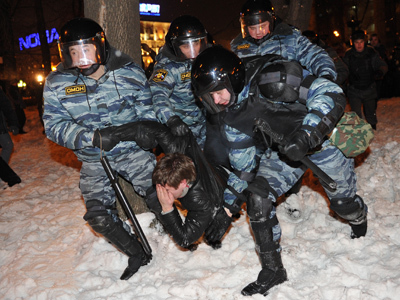 “Police in Pushkin Square were way more humane than what we saw during the dispersal of Occupy Wall Street actions and tent camps in Europe,” the Russian Foreign Ministry said in its Twitter micro-blog. The comment was made in response to a post by the US Ambassador to Moscow, Michael McFaul who voiced his concern over the situation. Presidential candidate Mikhail Prokhorov – who came third in the race for the Kremlin – was among the participants of the gathering. “It was a peaceful meeting. I was indignant about the use of force against people who came to voice their civic position,” he wrote on his Facebook page. According to the tycoon, Monday’s events broke with the tradition of peaceful opposition demonstrations, held in the country following the State Duma elections in December. “The government is responsible for citizens' security and hassle-free resolution of such situations,” Prokhorov wrote. The businessman insists that Monday’s events should be examined by a court. “I'm confident that the use of force as well as the detention of opposition politicians could have been avoided,” he added. Meanwhile, Russia’s Investigative Committee is to come up with its assessment of the calls for unrest and violation of law that were allegedly voiced in the square. The body’s representative, Vladimir Markin said that investigators are currently examining CCTV footage and questioning participants of the gathering as well as police officers.